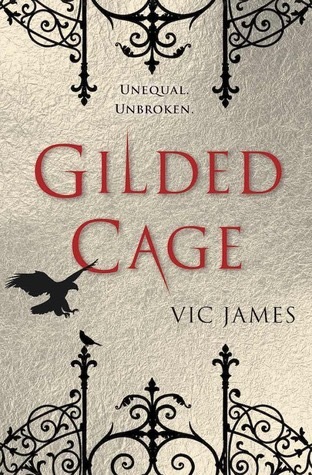 Vic James’ Gilded Cage has a lot to offer YA readers who enjoyed Victoria Aveyard’s Red Queen series. The social order is divided between those with extraordinary powers and those with no power. It has intrigue and forbidden feelings, and things are not always as they seem. There are some big differences, notably that Gilded Cage is somewhat terrifyingly gothic, but I think the two call to the same ideas of equality and humanity. While I gave them both four star ratings, I think Gilded Cage is the better book. This is a solid read. The divided classes and the tyranny of those with power will speak to many YA readers – young and old. The setting is intriguing, and, though the story dives in with little explanation, it was easy to pick up on the rules. Some readers will find the story slows as care is taken to explain some of the politics of the society, but it is necessary to really grasp how far under the thumb the powerless are. I particularly appreciated the fact that every one of the ruling class had a very ominous feel, even when they were being kind enough – it made it easy to understand the anxiety of the narrators and it helped me connect with them. There are several twists in this story, and many of them knocked me sideways. I was pleased that this wasn’t predictable, but I know it will leave some readers feeling a bit bowled over. This book does take a little brainwork. A cast of many characters and the intrigue mean you have to pay attention, but I thought it was well worth the effort. I’m pretty interested in what the second book holds, and I think my high school readers will enjoy it as much as I did, so it is going on my classroom library wishlist. Language and situations are appropriate for high school readers. …adding it to my list for next year and my “to-read” list!